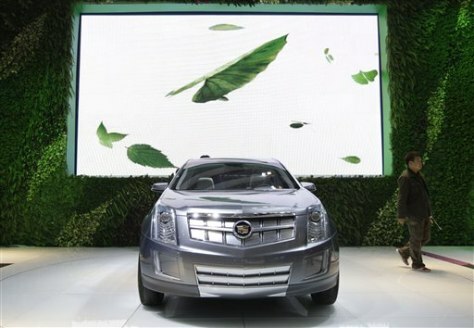 Visitors walks by a Cadillac Provor at the Auto China 2008 auto show in Beijing. "If you look at the fastest-growing market segments in China, there are two — SUVs and luxury cars," says Joseph Y.H. Liu, GM China's vice president for sales and marketing.